Woohoo – One of the best mobile application to buy gift vouchers of various stores of India – Offline and Online both. Now has come up with a new offer – Proving that “Gifting is Always Rewarding” Gift Woohoo Vouchers to your friends and get Full Amount Cashback (150% Cashback) See below terms Carefully for this offer. 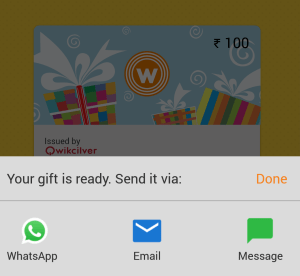 Within this Offer – Send gift card using Woohoo app to up to 3 unique friends/mobile numbers and get up to 150% cashback. 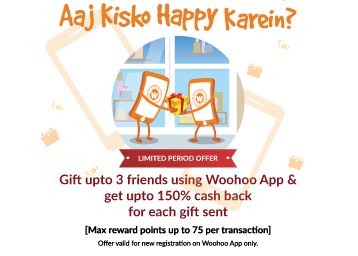 How to get 150% cashback in woohoo ? P.S. If you already have woohoo app then upgrade to the latest version. Sign up/Login into your account (Enter your Mobile Number and Verify). 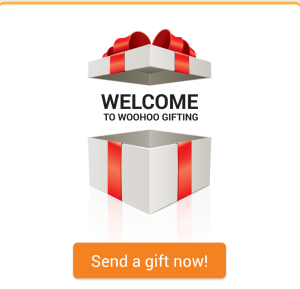 Now click on “Send a Gift now” Option. Select denomination now and Click on “Enter Now”. Now enter your name and the person whom you want to send the gift card to. Now click on “Send Gift” Option. Select Credit Card/ Debit Card as the payment option and make the payment. You can now send your gift card through whatsapp, email or message to your friend. Your friend will now get a link to claim the gift card and he will need to verify his mobile number to see the gift. Done!! You will get cashback of 150% (Max Rs.75) within 15 days. Make Sure – While claiming the gift card, don’t enter the same mobile number from which you sent the gift card. Enter a different mobile number or actually gift it to your friend as he will obviously enter a different number.